Spring has sprung in the Pacific Northwest and the cherry trees are putting on quite a show! One of the more popular attractions in Seattle for cherry blossom viewing, also known as Hanami, is our cherry trees located at the University of Washington Quad. They just reached peak viewing on March 29th. However, there is still time to celebrate! ParentMap has a list of other locations in Seattle and nearby to enjoy cherry blossom viewing. The 2019 Lammy Award finalists were announced earlier this month, and there are eight contenders in the LGBTQ Children’s/Young Adult category. 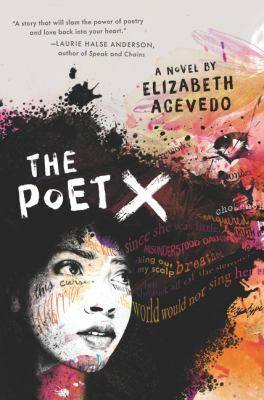 Among them are some of our favorite recent titles, including last year’s National Book Award Winner The Poet X and both(!) of Kheryn Callender’s novels. We were especially pleased at the diversity of both authors and character voices in this year’s finalists! Thankfulness doesn’t end with Thanksgiving. Enjoy these wonderful picture books celebrating gratitude! November marks twelve months of literary holidays! So to finish it off, here are three November literary holidays. The entire month is Picture Book Month, an international initiative to support literacy and encourage the use of picture books. There are blogs dedicated to championing the importance of picture books throughout the month. So in honor of picture books, here are some recommendations for you. Blue Frog by Dianne de la Casas is a fun book of a native Central American legend. How the gods first shared chocolate with humans. A Different Pond by Bao Phi is gorgeous book about a boy who fishes with his father, with context that goes so much deeper. It’s worth sharing with your children. Juna’s Jar by Jane Bahk follows Juna whose friend, Hector, has moved away and she starts to put items in her special kimchi jar to try to find Hector.